You can quickly add a large number of controls to your user interface in Blend using the corresponding icon on the tools panel. 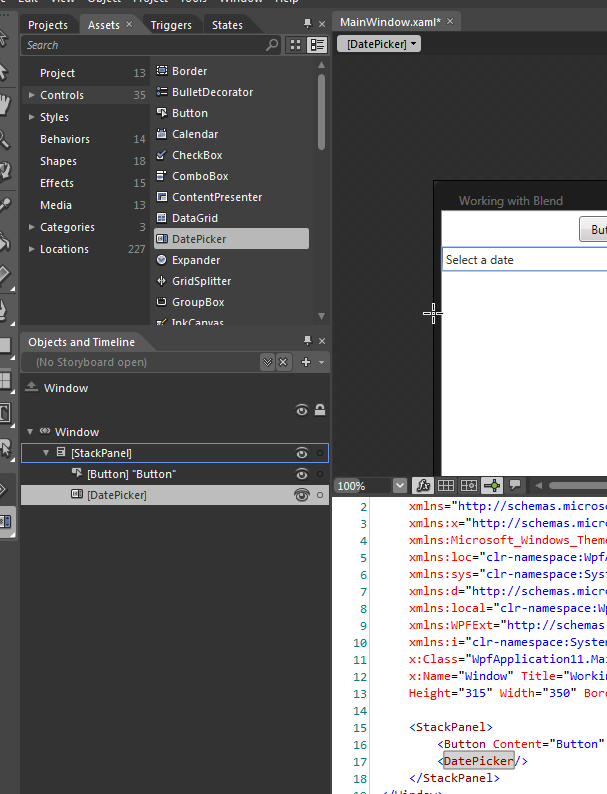 However, for controls not available normally from the tools panel, you can add elements from the Assets Panel. 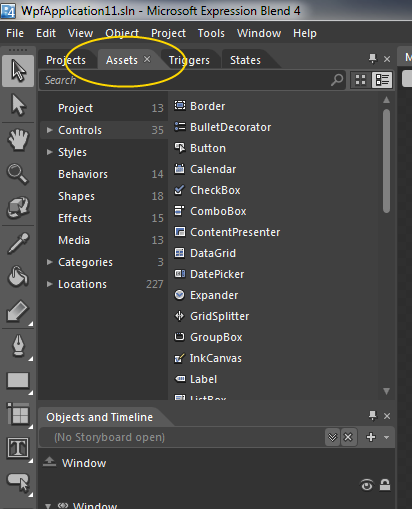 To open the assets panel, click on the Assets tab that normally appears just to the right of the Projects tab in Blend. You can explore within the listed menus to find the component that you’d like to add to your application. Once you find a control that you want included, you can double-click to include it under the currently selected panel, or left-click and drag it to the artboard.